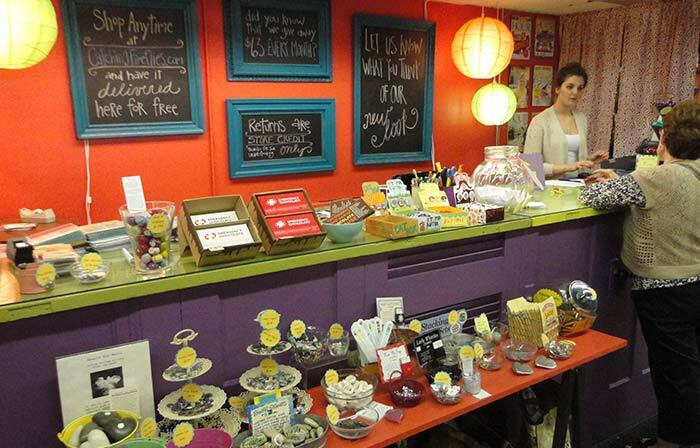 From Michigan-made handcrafts to colorful printed scarves to kitchen tools, Catching Fireflies sells a range of whimsical items for customers of all ages. 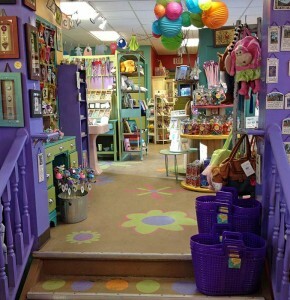 With the tagline “making days brighter,” the store creates an atmosphere that’s welcoming, artful, happy, and inspiring. Owners April and Steve McCrumb began selling their own handmade paper goods at the Ann Arbor Art Fair many years ago. Today, they own Catching Fireflies stores in three Michigan towns: Berkley, Rochester, and Ann Arbor, and they sell their own line of handmade paper goods called “a.i. paper” to more than 400 stores in the United States. 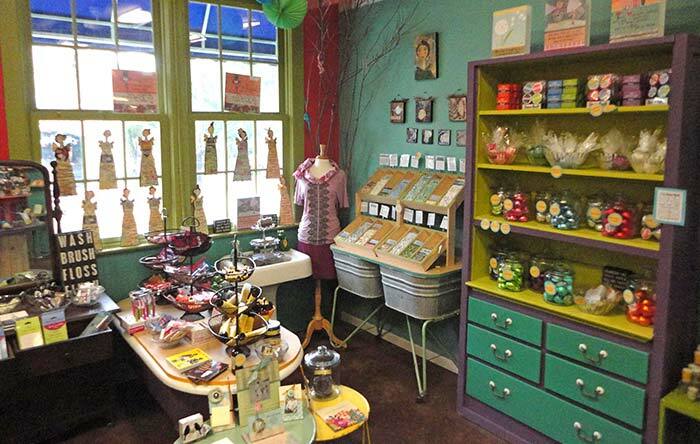 They also operate a sister store called “Yellow Door Art Market” in Berkeley, Mich. As if that’s not enough to keep them busy, they also maintain a popular blog and run a successful online store. Catching Fireflies creates a warm, whimsical, and welcoming environment that caters to everyone from a child buying a giant jawbreaker to a man looking for a special gift for his great grandma. 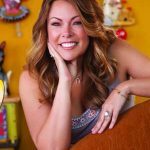 Their product collection spans many different categories, but all their goodies are guaranteed to be clever, creative, useful, funny, inspiring, or just plain pretty. April describes building her “little business” through a process of baby steps and delegation. Their story consists of small successes that build on each other to create their current whimsical world. First came the name, which was inspired by a piece by one of their favorite artists, Chris Roberts-Antieau, who makes whimsical “fabric paintings.” After years of admiring her work, April and Steve finally purchased a piece called “Catching Fireflies.” Later, while talking about the piece, they decided that it would make a great name for a gallery, which became a reality just a year later. After they started to wholesale their a.i. paper design products, they looked for a commercial building to lease. They started with an old building in downtown Berkley, Mich., that used to house a pharmacy. They transformed the space with bright colored paint, plywood, and flea market finds. A line of old hinged doors separated the design studio from the storefront. They initially planned on filling most of the store with a.i. paper design products and some purchased items that April found at gift trade shows. To keep their investment costs low and the variety of products unique, April asked a few of her artist friends to place some of their items in the shop on consignment. Pretty soon Catching Fireflies was not only paying the rent, but turning a decent profit. This allowed them to purchase a larger variety of interesting items and the popularity continued to grow. 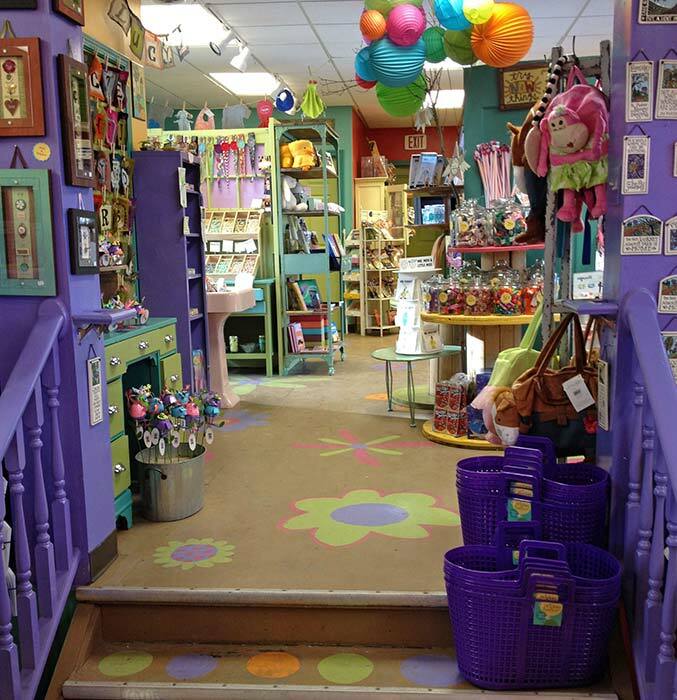 Inspired by the success of the Berkley location, they decided to open a second store in Grand Rapids in the spring of 2002 and showcased their whimsical wares to all their new Firefly fans. Wholesale accounts continued to increase for a.i. paper design, while Catching Fireflies customers kept multiplying. They decided to move the design studio to a non-retail location a mile away and renovated the previous design studio into an expanded storefront. After a couple of months of light construction, flea market hunting, and a lot of painting, they surprised customers with the renovation at their two-year birthday sale. It was a huge success and the store continued to thrive. 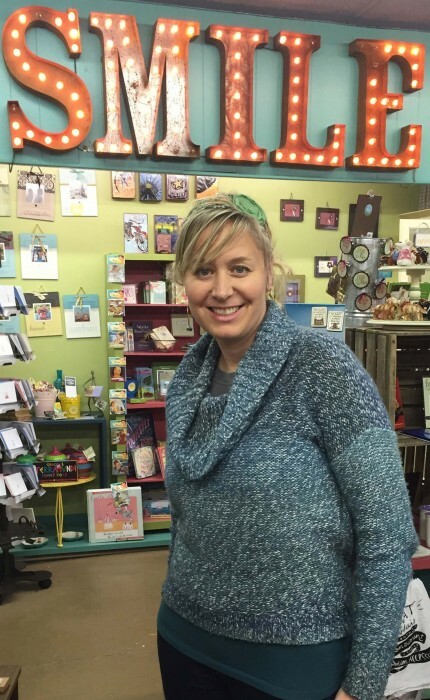 After selling fanciful goods in Grand Rapids for almost four years, they realized they needed to move their quirky collection of gifts closer to home. Then they began their hunt for a better location. Two years later, they spotted a “for lease” sign on an old train depot in downtown Rochester, and just knew it was meant to be the home of their new store. So they closed the Grand Rapids location and began work on the new store. They worked some magic with lots of paint and transformed it into the eccentric little gift gallery that Catching Fireflies is now known for. In 2010, they added another style of shop to the mix. Yellow Door Art Market is located in the same block as the original Berkley Catching Fireflies and features the work of more than 70 Michigan artists. 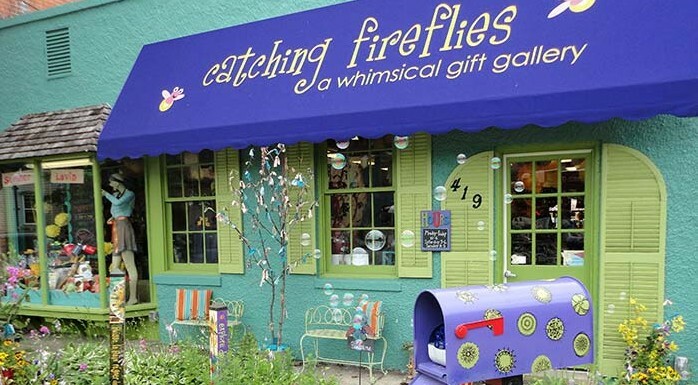 In December 2012, they opened a third Catching Fireflies location in Ann Arbor, Mich. It’s the largest of all the locations, complete with a charming courtyard that’s home to a wheelbarrow fairy garden and magical bubble mailbox. Smart Retailer (SR): You must have a great staff. How do you choose them, and what is your management structure? SR: What’s the best idea you ever had, and how did that work out for you? CF: A couple years ago we held a “Cupid Call” campaign in February and had our Firefly fans nominate someone who could use a surprise care package to brighten their day. It took a lot of time, energy, and finances to pull off, but the amount of newspaper articles, television coverage, and goodwill it generated was very beneficial for all our store locations. CF: “I love the saying, ‘Follow your heart… but take your brain with you.’ I would say that describes me. I get to select pretty finds to promote and sell in my shop but I’m still a practical Midwest girl who keeps an eye on the bottom line. I work a lot, but I love what I do and I am motivated by success. SR: You are very creative. Do you have a creative process, some sort of method that helps you think outside of the box? SR: Tell us about your locations. How do you choose them? Do you own or rent your spaces? What are some of the best/worst things about your locations? Is there anything you would change if you could? CF: “Our first location in Berkley would be considered “under the radar.” The rent was priced right and it was big enough for us to operate our design studio and have a little storefront. Berkley is a nice community that is centrally located but wasn’t really known for its downtown 15 years ago. Things have changed for the better over the years but I would still say we have created a destination for our customers. Rochester and Ann Arbor are 30 to 45 minutes away from Berkley and are part of more established downtowns. We definitely benefit from the traffic these downtown areas generate but also have grown a loyal following of Firefly fans over the years.